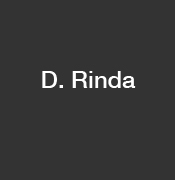 Rinda was born in 1960. At the age of 21 she was shot by her 15 year old brother Isa whilst recovering from delivering her first child in the maternity ward of a hospital in Bietigheimer in Germany. The siblings had been brought up in the Syrian Orthodox Christian minority in Turkey but now in Germany, her child had been fathered by a Muslim man. This her brother perceived as a slight to the family’s honour, shooting her 6 times as she recovered from childbirth: she managed to drag herself to the hallway where she died. As Isa was only 15 at the time of committing the murder, he was sentenced to 4 years in youth custody for manslaughter.